The idylic village of Waidring is located at an elevation of 781 metres and is a favourite with the Dutch. This area is known for its various lakes and many walking options. In Waidring there is a small bathing lake where you can swim. The larger lake in nearby St. Ulrich am Pillersee is much more well known and there are many water sports options there. 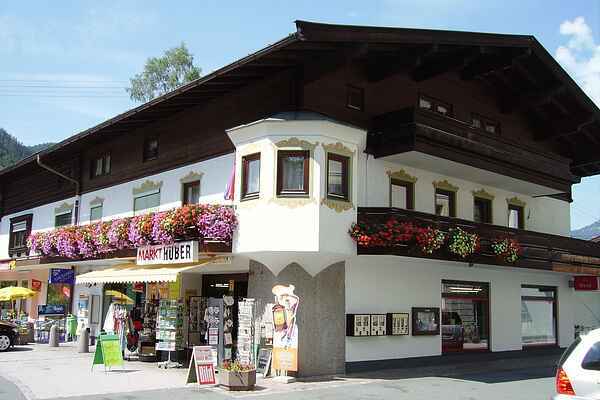 House Mühlberg is located in the charming village centre of Waidring. On the first floor, you will find a charming and comfortably furnished residence. The spacious living room is charmingly furnished. You will notice right away the original bay window in the corner with a beautiful view from every corner. You have a super large balcony with garden furniture which offers you a wonderful view of the surroundings. Opposite the central hallway there are sleeping quarters with a bathroom for four persons. There is a communal garden with garden furniture. The well known and guaranteed snow ski paradise of “Steinplatte”, with many slopes and as Snop Park, is easily accessible by the modern lift right from the village, and there are many kilometers of Nordic ski tracks only five minutes away. Waidring is a top location in the winter as well!